It is important that guests experience the highest quality of luxury and first class service while staying at the Westin Dragonara Resort Hotel. One way of achieving this is by visiting the stunning private beach lidos. Both lidos include large pools, lounging areas, Jacuzzis, kid’s paddling pools, poolside bars and private access to the sea. Guests can spend their time at the Reef Club or Bay View Pool Deck where there is plenty of space to unwind as well as featuring pools, Jacuzzis and bars which offer meals and superior poolside service. Kicking back and being catered to have never been so easy. Each deck has its own exclusive beach area with access to the sea. 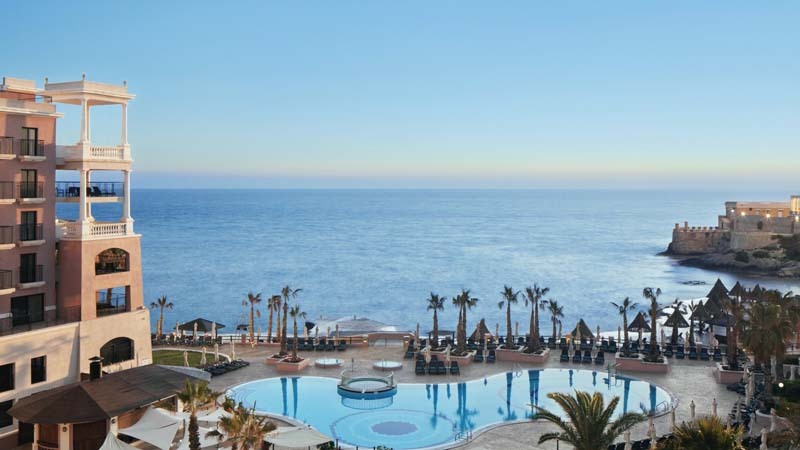 The lidos give guests the opportunity to enjoy the gorgeous shores at the Dragonara Westin which has won the Blue Flag Eco-label status for its spectacular coastline. The private coves and beaches give guests a sense of exclusivity and make them feel as though they are relaxing on their own private island. This sense of seclusion and tranquillity is perfect for luxury holiday makers looking to switch off and wind down in a serene environment. The lidos at the Westin Dragonara provide facilities which are available to guests all day long without them having to even leave the area and can be catered to from the comfort of their sun loungers. If you are feeling the heat you can cool down in one of the two main pools or take it easy in one of the Jacuzzis while the kids keep busy in the paddling pool or the private sandy cove. You will never go thirsty or hungry with the pool side bars nearby. The Bay View Pool Deck offers a private beach to guests over 18 which is ideal for those looking to get away from any noise and soak up the beauty of the Mediterranean ocean. A great alternative for families is the exclusive sandy cove at The Reef Club. This small beach area is fantastic for kids to paddle in the shallow waters and play in the sand. The Westin Dragonara’s private beach lidos are a huge asset to the resort and deliver the utmost quality service to guests. From the massive swimming pools to private ocean access it is the best place to spend your relaxation time in Malta. The lidos and the facilities within them are what make the resort the ideal choice for luxury holiday makers and guarantee an unforgettable experience at the Westin Dragonara Resort Hotel.